The Australian government’s will invest AU$70 million (US$53.6m) to replace the country’s highest performance research supercomputer, Raijin. The National Computer Infrastructure (NCI) at the Australian National University (ANU) said that it hopes the new high performance computing (HPC) system will be ranked in the top 25 internationally when it is commissioned in early 2019. Funding, provided through the Department of Education and Training, will be AU$69m (US$53m) in 2017-18 and AU$800,000 (US$613,000) in 2018-19. “This announcement is very welcome. NCI plays a pivotal role in the national research landscape, and the supercomputer is the centerpiece of NCI’s renowned and tightly integrated, high-performance computing and data environment,” Chair of the NCI Board, Emeritus Professor Michael Barber, said. 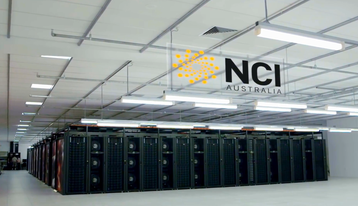 In Australia’s 2016 National Research Infrastructure Roadmap, published in 2017, the country’s chief scientist, Dr Alan Finkel, wrote: “Australia currently has two Tier 1 HPC research facilities – National Computational Infrastructure (NCI) and the Pawsey Supercomputing Centre (Pawsey). Raijin is a 1.67 petaflop hybrid Fujitsu Primergy and Lenovo NeXtScale HPC system, named after the Shinto God of thunder, lightning and storms.